At first glance, there’s nothing out of the ordinary about Kylie Jenner’s latest Instagram post. 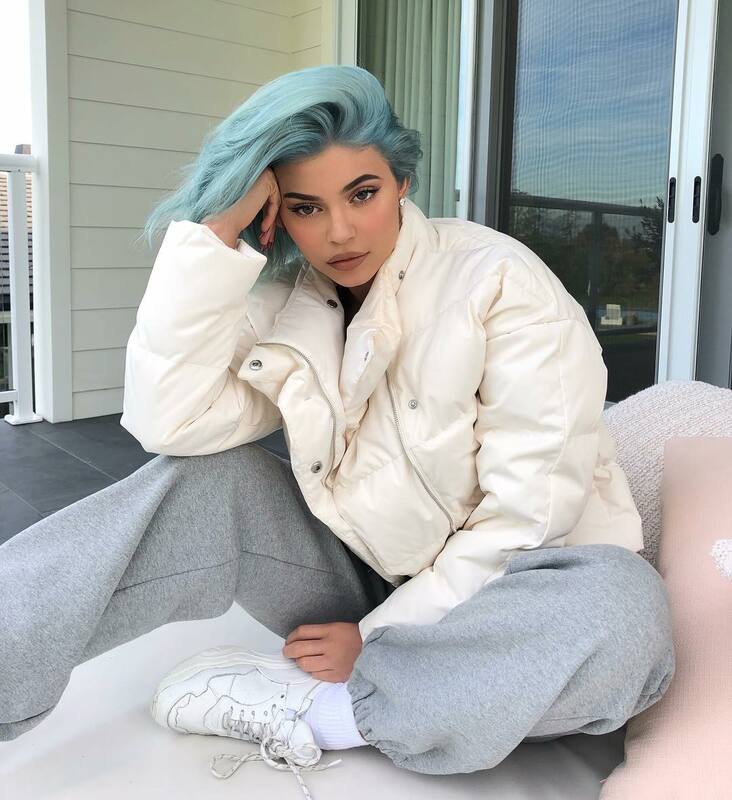 With her new, icy-blue ’do pulled tightly into a topknot, the youngest member of the Kardashian family is shown seated with legs crossed, apparently reflecting on the year ahead. “Mood all 2019,” she wrote. Let your eyes linger a little longer, though, and you’ll find yourself wondering: What in the world is she sitting on? The alarming pile of seemingly deceased stuffed animal cats that Jenner is sitting on appears to be the latest addition to her daughter’s nursery. “Daddy dropped off a new chair for Stormi,” Jenner captioned in a video that shows her almost 1-year-old daughter perched on the fluffy throne. As insane-looking as the seat might be, the gift is actually a limited-edition work of art. Dubbed the Banquete Kaws chair, the piece is a result of a recent collaboration between Brazilian designers Humberto and Fernando Campana and Brooklyn-based pop artist Kaws, who is known for his cross-eyed cartoon figures. Kaws x Campana debuted two chairs (one pink, one black) and a sofa at Design Miami this year, which is probably where Jenner’s partner, Travis Scott, first spotted the cuddly creation. Anyone who is familiar with the Campana brothers will know this kid-approved creation isn’t the first of its kind. The São Paulo–based pair has been experimenting with soft toys for the past 10 years—using everything from stuffed sea creatures to safari animals. Snoopy and Mickey Mouse have even been featured as cushions. The chair has been seeing a lot of love from other celebrities too. Pharrell was spotted sitting in the pink version of the chair at the Design Miami exhibition, which was presented by New York gallery Friedman Benda. Million Dollar Listing New York star, Steve Gold, shared an image of an opulent, art-filled apartment last September that featured the Campana brothers’ Dolphin iteration. A blue version of Jenner’s Banquete Kaws chair was added to the Museum of Fine Arts, Houston’s permanent collection, earlier this year. Aside from being a friendly (yet, slightly questionable) addition to her daughter’s bedroom, it’s clear that the beauty mogul is quietly building a stellar art collection. And what good is an empire without a proper throne to sit in?